As Puerto Ricans, Floridians and Texans begin to rebuild their homes and communities from the damage caused by Hurricanes Maria, Irma and Harvey, we’d like dedicate a blog post offering advice to homeowners and business owners on how they can rebuild following catastrophic weather-related events. Although no one wants to get hit by a hurricane, having to rebuild or do major repairs is an opportunity to upgrade your home and, in some instances, your quality of life. Here are some tips from General Contractor Alexander Wertheim, president of SPACiO Design Build. 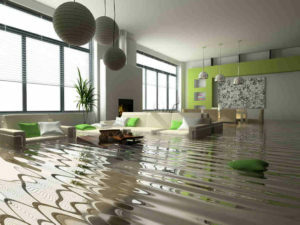 If your home is damaged by flooding or storm surge, you need to remove your sheetrock and insulation as soon as the water recedes to prevent mold. You should also remove flooring such as carpet or hardwood floors if you can’t dry them out. 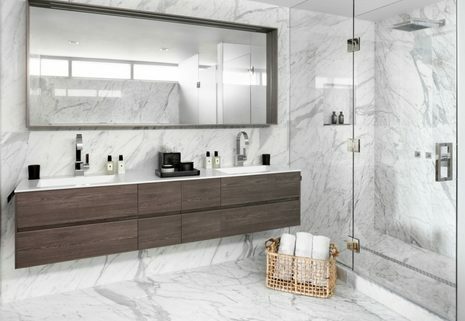 Tile is the best since you only need to clean it. If you’re on a tight budget, you can rip out the drywall yourself but we would recommend hiring a professional general contractor to tape and float it. While you can do some of the work yourself such as ripping out the drywall, you will most likely need to hire a general contractor to help you rebuild. You should be careful of scams that often follow hurricanes. Everyone and their mother will slap a magnet on the side of their truck and say they are a general contractor. We suggest checking licenses online, asking for references and even doing a site visit to look at the contractor’s prior work. Make sure the contractor holds liability and workers’ compensation insurance, and you are added as an additional insured on any policy while work is being done on your site. If a bank is involved, it should name the bank as well. You can upgrade to higher-end cabinets in your kitchen and bathrooms if they suffered from water damage. If you need to remove the sheet rock, think about adding French or sliding glass doors to the backyard or throughout the house where there used to be a wall, or expanding the kitchen and closets. It’s also a good time to update to PVC piping if your current home or business has lead, copper or steel pipes as well as renovate the electric wiring throughout your home and adding an AV system. Lastly, you can think about creating a smart home. Having built out high-end luxury jewelry stores across South Florida from Breitling at Sawgrass Mills mall to Swarovski in Brickell City Centre, we are excited to hear that Metro Mall in the downtown Miami’s Jewelry District is up for grabs and with potential for redevelopment. Our good friend Investment Broker Mika Mattingly, with Colliers International South Florida’s Urban Core Division, is marketing the property. The new owner could turn the aging building into a state-of the art diamond or jewelry retailer. Not many people know that the neighborhood is one of the top three jewelry districts in the United States – generating more than $850 million in sales during 2016 alone. This signals the continued upward trend of consumer spending and investment in downtown Miami. 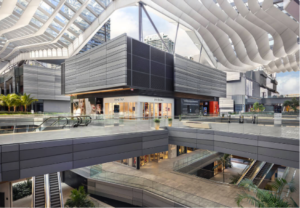 Downtown Miami is experiencing unprecedented transformation, and the Metro Mall listing is another example of how the neighborhood is reinventing itself into a major metropolis. The SPACiO Design Build team is already talking with some of the new owners of commercial properties along Flagler Street to reposition their retail space on the ground floor. They expect to attract specialty retailers capable of helping to build a true community, where area residents can live, work and play. In the last two years, investors have acquired $1.5 billion of real estate along the historic Flagler Street, where properties have been neglected for decades. A significant number of investors are coming from New York and familiar with the process of preserving and restoring buildings in an effort to create trendy districts. 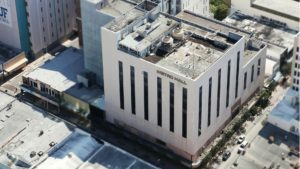 As an experienced general contractor working on buildings of historic value, we can’t wait to help retrofit some of the amazing spaces in downtown Miami after decades of neglect. The work will require a high level of creativity and innovation in the build-out of that space but we are up to the task. This is an exciting time for downtown Miami and Metro Mall, one of the few remaining developing sites to hit the market. It will play an important role in the area’s transformation. We’re looking forward to the wave of new development that will reinvent the urban landscape into a thriving metropolis. 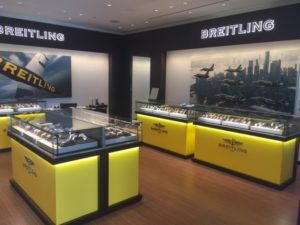 As Sawgrass Mills continues to bring in new stores, SPACiO Design Build completed a full interior build-out of Breitling. The Swiss watch retailer just opened a new store in Sawgrass, located in Broward County. 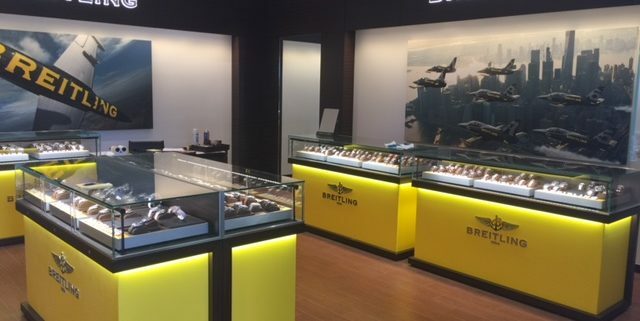 It was an honor to be retained by Breitling, which is known for making precision-made chronometers useful to aviators, to help build (literally) their brand in one of America’s busiest malls. The classy and luxurious design of the 1,000 square foot store truly reflects the high-quality timepieces that Breitling is known for. Our job as the general contractor on the project required running the daily construction activities, coordinating with the mall operations department as well as ensuring the designs were true to the finish. The store was a vanilla shell. We had to build the walls, drywall the ceilings, install flooring and work with the artisan behind the installation of the millwork display, which was imported from Canada. There were also a lot of electrical components, including the HVAC, that needed to be installed. Getting the job done required finding quick solutions to unexpected challenges. The biggest challenge involved the weather. When the mall closed for three days as result of flooding, we managed to get inspectors into the store and finish the job despite the rising water surrounding the mall. Another challenge involved coordinating the logistics for deliveries, which we had to arrange before or after mall hours – same with making any loud noise such as cutting concrete. The SPACiO Design team successfully completed the project in 5 weeks due to SPACiO’s core values of transparency and open communication with the client. We also worked quickly to make any last-minute changes the client had following the project’s completion. Time is money so delivering a finished product on time and on budget is the best way to keep our clients happy. SPACiO Design Build has been retained to buil d-out high-end jewelry retailer Swarovski’s new home in Brickell City Centre. Founded 1895 in Austria, Swarovski designs, creates, and markets high-quality crystal product collections such as jewelry, accessories, ornaments, figurines and decorative items for the home. The luxurious design of the new 520-square-foot store is a significant addition to one of South Florida’s most spectacular mixed-use projects developed by Swire Properties. We look forward to completing the build-out by mid-August. We are honored to play a role in the evolution of Brickell City Centre, which opened last year and continues to welcome high-end retail tenants. The 150,000-square-foot mixed-use development includes retail, residential and office space strategically located in the Brickell area. The retail component is home to restaurants, luxury retailers, an Italian food hall and Cinemex movie theatre. The new Swarovski store will serve the growing number of residents moving into the new luxury condos in Miami’s urban core. Many more towers are currently planned or under construction as the Brickell area continues to evolve into a world-class destination. Swarovski adds another international brand to our portfolio of international clients/designs. That includes working with the Nobu Hospitality brand (hotel and restaurant) and building the sales center of Armani/Casa Residences. As a general contractor, we are the artisans behind the scenes turning design into reality. It is rewarding to be closely involved in projects that highlight Miami’s international appeal, unique architecture and design sophistication. When I am contacted about an extensive remodeling job and/or repositioning of a commercial property, the potential client often wants to know if I should give them a ‘fixed-price’ proposal or do the work on a ‘cost-plus’ basis. My answer is ‘it depends.’ If the job involves building out space in a historic or neglected building, it is likely that the general contractor will encounter surprises behind the walls, floors and ceilings. Each surprise requires more labor and materials. For instances like this, I recommend working on a cost-plus basis, where the general contractor executes the work then adds a fee to the cost of the project. This approach requires trust and constant communication between the GC, the client and project manager. Each party needs to be on the same page so that all are involved in arriving at a decision when an issue arises. The GC should be accessible when the client asks why the costs are incurred and whether they are justified. The cost-plus basis works very well with customers who have done build-outs in the past or have experience in the construction industry and understand the complexities of building new within an existing structure. Fixed-price proposals are more common for condo and homeowners seeking to build-out their property and budget appropriately. Custom-built homes and repositioned retail spaces in newer buildings are also conducive to fixed-price proposals. My simple rule: The more predictable the build-out work, the easier it is to write a proposal. A fixed-price proposal may not be the right answer when working on a historic or long-neglected property. Most likely, the GC will need to amend the fixed price through ‘change orders.’ Each change order addresses whatever ‘unpredicted work’ is necessary to solve the problem. By the time the job is complete, the accumulation of change orders can make the job much costlier than the initial agreement. When this occurs, both the property owners and the GC may feel they have been taken advantage of. At SPACiO, when the job is big and looks like surprises may be waiting, we recommend using the cost-plus approach. But the key ingredient for this strategy to succeed is trust. The GC must earn the trust of the client and the client should check the GC’s references to ensure that the partnership will be successful. Building out Lolo’s Surf Cantina located inside the Marriott Stanton South Beach provided us the opportunity to do what we love best: breathing new life into amazing historic buildings. Turning a portion of the Marriott Stanton into Lolo’s – a bistro serving inspired Mexican cuisine – was an experience that enriched our team’s craftsmanship. 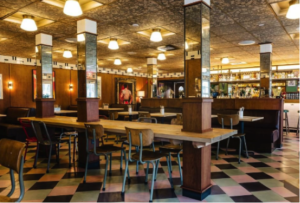 Lolo’s is a concept by Plan Do See, a global hospitality brand based in Japan, and Richard Ampudia, the renowned “Godfather of Mexican Street Food.” Ampudia has made his mark in many popular NYC restaurants over the years such as La Esquina, Café Habana, and Bar Bruno. 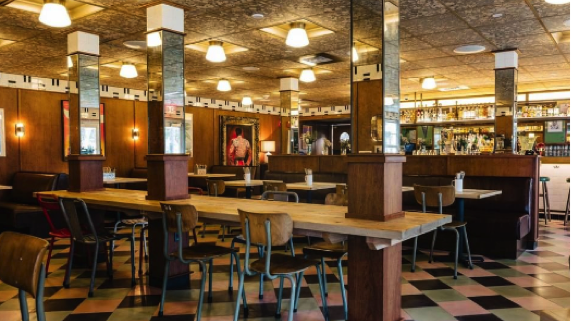 As the general contractor, we were entrusted to transform the space into a Baja-Style, Mexican eatery while preserving a historic three-story building. Our previous work renovating and repositioning the hotel helped us to create the blueprint for building out Lolo’s, which required a phased demolition process. We demolished everything in the interior of the property and were able to preserve the perimeter walls. At that stage, you could look up three stories and glimpse the sky. The repositioning of the historic property required a sequential floor-by-floor rebuilding of the building’s skeletal system to accommodate two new full-service restaurants – including Lolo’s – and other amenities, including a new spa, gym, public restrooms and other guest features for the existing hotel. Those features were required to complement the newly remodeled lobby, meeting rooms, two pools decks and other amenities SPACiO had previously renovated. Due to the building’s designation as a historic building, we also worked diligently with the City of Miami Beach to protect the historic façade. We couldn’t have accomplished our goals without our team’s vast wealth of construction knowledge, commitment to quality and ability to quickly meet the final inspections. It was our honor to transform the Lolo’s concept into a reality and deliver a top-notch Mexican eatery to Miami Beach’s South of Fifth neighborhood. Stay tuned as we are building out additional restaurants at the Marriott Stanton South Beach (a secret sushi restaurant and an American bistro). Names will be revealed soon! Be the first to know by following us on all of our social media channels. 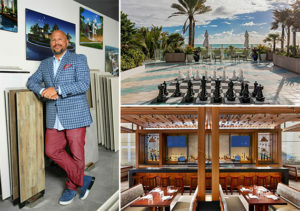 Alexander Wertheim is founder and president of Spacio Design Build, a general contracting firm with clients such as Nobu Miami Beach, the Related Group and the Marriott Stanton South Beach. A former pro tennis player on the ATP whose coaching gig got him into the construction and property management business, Wertheim now oversees a firm of about 20 employees with revenues of about $20 million. Wertheim spoke with The Real Deal about building a business, challenges facing South Florida contractors and the latest construction trends. Q. How did you get into the construction business? After retiring from professional tennis, I coached. One of the guys I was coaching owned 30,000 apartments across the United States. I was up at his house one day and said, “I need a career.” So he hired me. He started to buy in Florida in the early 1990s. He bought a couple thousand units in west Fort Lauderdale and offered me a job there as a social director. So now, I’m doing bingo, fitness at the swimming pool, handing out bagels…I looked at it like school. I was there six months and stuck my nose everywhere. I found out what the property manager did, the leasing agent, the superintendent, the sprinkler guy, everything. Then, he says to me, “Do you want to move to Connecticut and be my son’s right-hand man?” I left the following week. I was 23 years old, director of operations of a company with 52 employees, about 10,000 apartments, half a million square feet of industrial space and four condo associations. I learned construction, punch-out work, leasing and managing apartments, budgets, due diligence on new buys. Later, I went out on my own. With a partner, we did a bunch of condo conversions, and then, I came up with the current concept. Q. When and why did you start Spacio? We started in Coral Springs in 2007 to go after homeowners who wanted basic renovations. We built a beautiful showroom, and the recession came, so we went lean, down to my partner and myself. Back then, you’d call me and say, “I have a dry-wall repair,” and I’d be there. After the recession hit, we landed our first building in downtown Miami, the Ivy. The majority of developer units are what they call “decorator-ready,” with a finished kitchen and finished bathroom. But if someone wants to move in, you need to do the floor and baseboards, window coverings, painting, closets and lighting. We came in and did those upgrades on more than 400 units. From that, we went across the street to The Mint and changed our business model. We opened up a design center to offer a turnkey package, a one-stop shop. We did construction and even worked with furniture providers if you wanted. Mint was 532 units. Our average ticket at Ivy was $10,000, and at Mint, about $30,000. So, we ended up doing seven other buildings at the same time. We became known as the condo contractor. Then, we landed Paramount Bay in Edgewater, and those units had $80,000 to $100,000 tickets. Next, we did 224 rooms at the Stanton South Beach Marriott. That was our first big commercial project. Q. How much business did you do last year, and what do you project for this year? Last year, about $20 million. This year, I have almost $14 million on the books, and it’s only March. So, it should be more. Q. Tell us about some key projects. We just finished Eden Roc Nobu, which is a hotel within a hotel. We took the existing restaurant, gutted it and added about 3,000 square feet of exterior space to make the largest Nobu in the world. We also did the lobby, common areas and the hotel rooms – around 150. At the Marriott Stanton at 161 Ocean Drive, we started out with the rooms, then common areas, the front and façade, the entrance, lobby. Because they couldn’t build new, we literally had to rebuild the entire structure from the inside outside, including the roof – all with the hotel in operation. Q. What is the biggest challenge you face as a contractor in South Florida? The workforce here. It’s laid-back, and that makes things take longer. And it’s very transient. You’ve got guys that show up today, and three weeks later, they’re gone. You hear a lot of horror stories. We’re very careful about the subcontractors we work with and develop long-term relationships with them. Q. What trends do you see in construction in Miami? One is incorporating exterior space into the interior. People are adding collapsible window-doors that open to one side to bring exterior space inside. You’re seeing this in homes, restaurants and hotels, because so many people love to be outside. In houses, people are putting bars, kitchens, TV rooms, sitting areas and fire pits outside to continue the experience of their great-rooms inside. It makes the space seem bigger and more welcoming. 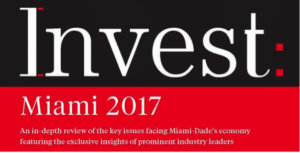 In case you missed it, Invest Miami Magazine sat down with SPACiO president Alex Wertheim to discuss what he expects to see in Miami’s construction and design industry this year. 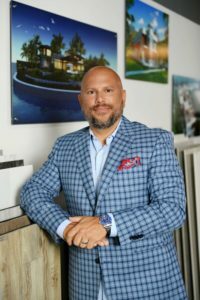 Alex discusses some factors that are driving demand for construction and design services, based on his experience as a general contractor building out some of Miami’s most iconic residential and commercial projects. 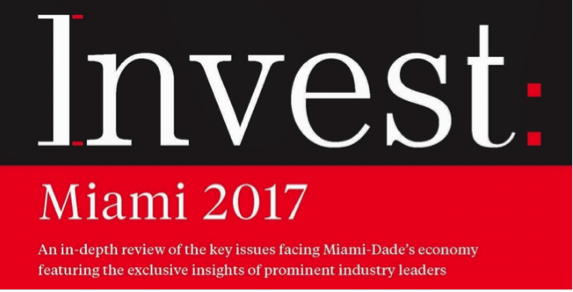 He states that residential demand growth in Miami will continue, due in large part to the lower cost of living compared to other major gateway cities across the U.S. and Florida’s advantageous tax structure. 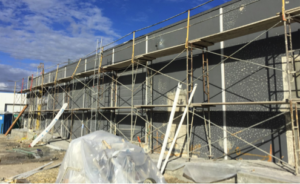 While construction in the residential sector is clearly slowing down, Alex continues to see an increase in construction activity in the commercial real estate sector, especially in the restaurant and hospitality areas. 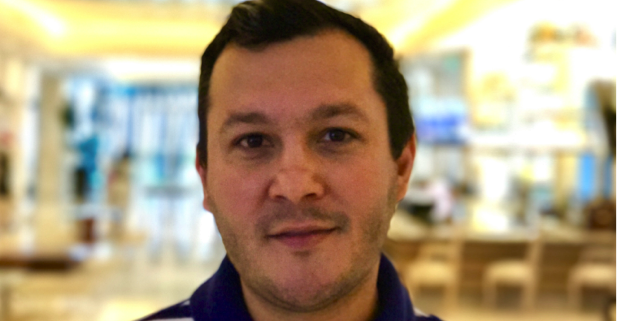 This reflects a trend in which restaurant owners/operators are increasingly allocating resources to upgrade the aesthetics of their facilities to match the level of service and culinary experience. For that reason, he expects to see more complex designs and build outs as new restaurants enter the market. SPACiO recently built out the Nobu restaurant in Miami Beach, which is a great example of this trend. Hotels are also recognizing the importance of investing in aesthetics to remain competitive and provide an ‘experiential’ atmosphere. This trend is fueling the renovation and repositioning of several Miami hotels, including SPACiO’s latest project: Marriott Stanton South Beach. Alex concludes by highlighting the importance of restaurant and hotel owners/operators as well as developers hiring the proper architect, designer and general contractor to ensure that pre-construction work is handled by highly qualified professi onals. If the selection process is executed poorly, the construction phase will probably create unplanned challenges to the final vision of the hotel and restaurant owners/operators. To read more about Alex’s predictions for 2017, you can view the entire article here. Increasingly rundown warehouses in Little Haiti – the next Wynwood – are getting a new lease on life. Drive along its streets and you will see a lot of construction going on, as old buildings are being repositioned into new uses, including art galleries, showrooms and more. Our client, Innerspace Custom Closet Storage Solutions, is a perfect example of the quality of businesses that are choosing Little Haiti as their new home. Innerspace, which is relocating from Wynwood, is a premiere designer of organized closet systems in South Florida. We’re currently renovating for Innerspace a 24,000-square-foot warehouse and reinforcing the existing structure to withhold new loads for our client to move in next month. The build-out of the space includes a 5,200 square foot interior office and a unique showroom. Our goal with this project is to make the building relevant to the emerging neighborhood, which is attracting new businesses to the area. We’re already starting to see an influx of new neighbors, including a French catering business across the street and a future art gallery next door. It’s exciting to be a part of Little Haiti’s transformation, helping to turn visions into reality through quality craftsmanship. We’re looking forward to working more in the area as it begins to develop into one of Miami’s hottest neighborhoods. 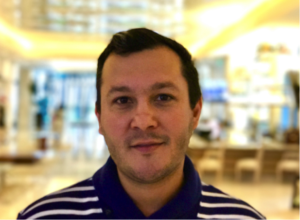 SPACIO sat down with talented Architect John Perez for a Q&A to hear about his experience remodeling, updating and building new hotels across the country and how the hospitality industry is rapidly embracing innovation and experiential architecture. 1 – When you work with hotel operators/owners to extensively remodel a hotel, what advice do you give your clients when they first reach out to you? One of the first things we discuss is the target market the client is aiming to reach. There is a wide range of guests, and this translates into styles, finishes, levels of service and facility requirements. Different sectors of the market have diverse needs and expectations from their guest experience. For example, a business traveler will require different amenities than a resort guest. 2 – What are some of the architectural trends in the hospitality industry that we will see in 2017? Most new hotels these days are being designed with technology in mind. Travelers want to be connected, and need information to move as quickly as their devices do. Things such as checking into your hotel using your smartphone and using your phone as your room key will become more widespread. Features like setting your desired temperature when you arrive to your guestroom, setting the time the blinds are raised and lights turn on… all of this you will be able to control from your phone, just the way people control in their homes. 3 – What are some of your favorite projects and why? The Grand Beach Hotel Surfside – West was a fun project. I am especially pleased with the four-story frameless glass atrium featuring a full height media wall. The small footprint of the lobby required a special identity, and I believe we were able to achieve a unique and eye catching check-in experience for the guest.